Are you looking for graphic design software that can help you make your game art? Well, look no further. Today, we’re going to share our top picks for the best pieces of graphic design software to use. All of these graphic design tools are ideal for game developers. Although, some of them are paid many of them are also available for free. We’ll break down each piece of graphic design software to give you a good idea of what they can and can’t do. If you’re having a tough time deciding which route to take, learning a little bit about these popular graphic design software and tools will make it easier. You’ll be able to choose the best design tool to suit your budget and game art needs with minimal effort. And you might discover a new program that could be a game-changer for your app business. 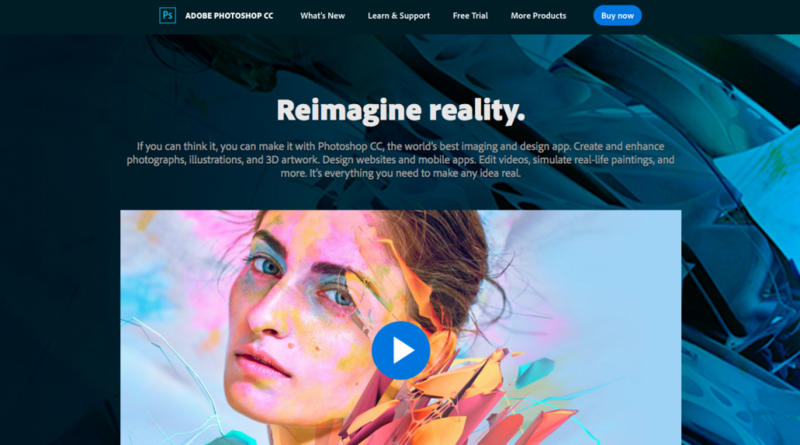 Widely used by professional graphic designers and photographers around the world, Adobe Photoshop is one of the best programs on the market. It was released in 1990 and continues to reign as the tool that artists go to for editing and designing images. The features of this application are powerful. You can create custom illustrations, alter photos in many ways including turning them into paintings, make 3D artwork, animate and even edit videos. The brush sets, filters, and advanced tool options give you the ability to make any idea real. Adobe Photoshop CC is available on both Mac and the Windows platform. And it’s currently subscription-based with multiple Creative Cloud Plans and Pricing. There are 20+ design applications associated with Adobe like Illustrator CC and InDesign that you can also purchase. You can get any single app on a monthly subscription for $20.99. The ‘All Apps’ plans and bundles range from $52.99 to $82.98. If you’re looking for a graphic design software capable of creating professional game art but less expensive than the traditional tools like Photoshop, Pixelmator is an excellent choice. Pixelmator allows you to edit and transform photos into works of art. It also has features for drawing and creating your own illustrations. There’s a lot you can with this software. It’s a great design application for indie developers to use to make game art. Buildbox founder, Trey Smith, created the artwork for his hit game Phases using Pixelmator. He also recently posted a step-by-step Pixelmator tutorial on how to use it to make hyper-casual game art. It’s definitely worth checking out as well. 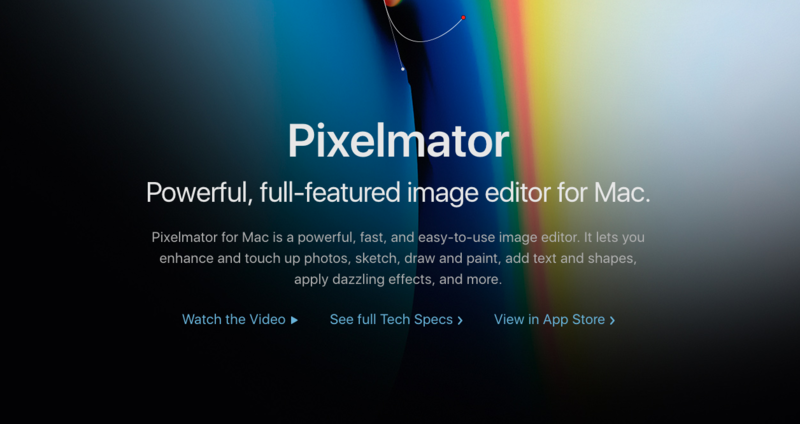 Pixelmator was built exclusively for Mac, and it shows with its sleek interface. It won the 2011 Apple Design Award for Best of Mac App Store and App of the Year. This graphic design software is available for $29.99 USD, and the iOS app version costs $4.99. 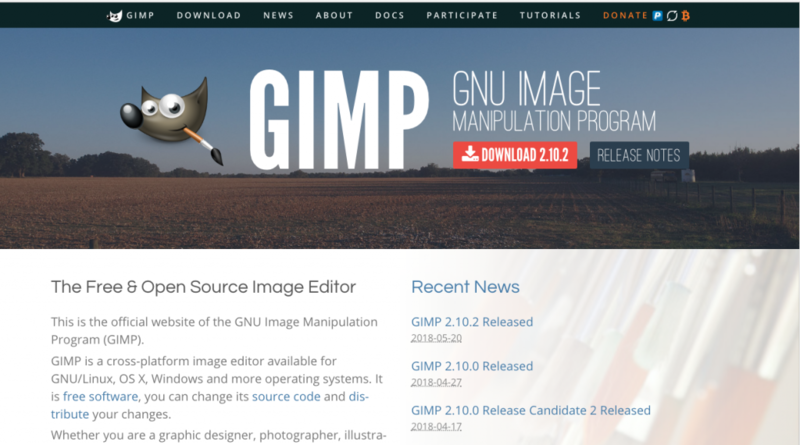 GIMP or GNU Image Manipulation Program is a cross-platform image editor. It’s also a free and open-source graphic design software, which makes it a great alternative for indie devs on a limited budget. GIMP also has a wide variety of features. You can tweak and edit photos and easily turn lackluster images into masterpieces. The drawing tools and customizable brushes allow you to make illustrations as well. It also supports many third-party plugins and programming languages. Advanced users can download additional plugins to add new features, editing and customization options to GIMP. If you’re familiar with coding and graphic design, GIMP could be a potent free tool to have in your arsenal. Another free graphic design software worth considering is Inkscape. Inkscape allows you to create vector-based images and edit them easily. With Inkscape, you can do most of the things that you could with the more expensive paid design applications. This software features flexible drawing tools, shapes, filters, text, and other advanced editing options. You can also save your projects in multiple formats like SVG, JPG, BMP, PNG, and TIP. Users have the opportunity to export any saved project to vector-based formats as well. Image scaling is also a breeze in Inkscape. You can easily resize any icon, logo, or graphic. 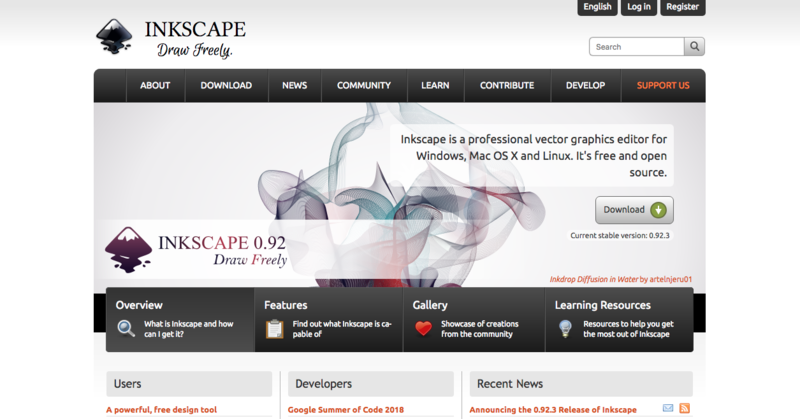 This graphic design software is open-source and available on Windows, Mac OS X, and Linux platforms. 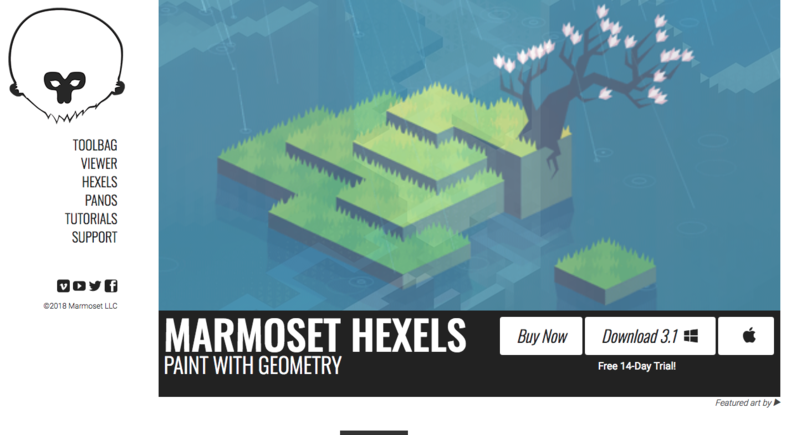 If you’re a game developer, who wants to make a pixel art themed game than Marmoset Hexels is ideal. This graphic design software is part of a creative suite for grid-based painting, animation and design. The built-in geometric canvas grid makes it easy for a beginner designer or professional artist to create pixel style art. It features extensive drawing tools and an animation timeline to bring your creativity to life. Hexels is available on both the PC and Mac, and it can be purchased for $49. Gravit Designer is a completely free full-featured cross-platform graphic design software that’s in a lane of its own. It can be used on macOS, Windows, Linux, Chrome OS, iPad, and Android. And if you don’t feel like downloading anything you can use it online directly through your browser. Gravit Designer is a cloud-based vector editor with loads of potential for game developers. You can use this tool on-the-go whenever an idea strikes you. It also features templates to help you get started with your designs which is a huge plus for anyone new to design. With Gravit Designer, you can design screens, high-quality icons, illustrations, apps and more. It features a sleek, intuitive interface that can be personalized. There’s also a nice selection of borders, effects and blending mode options. The only drawback to this design application is there are no prototyping or animation features possible yet. However, they do have plans to add both soon. This free vector graphic tool is worth trying out. 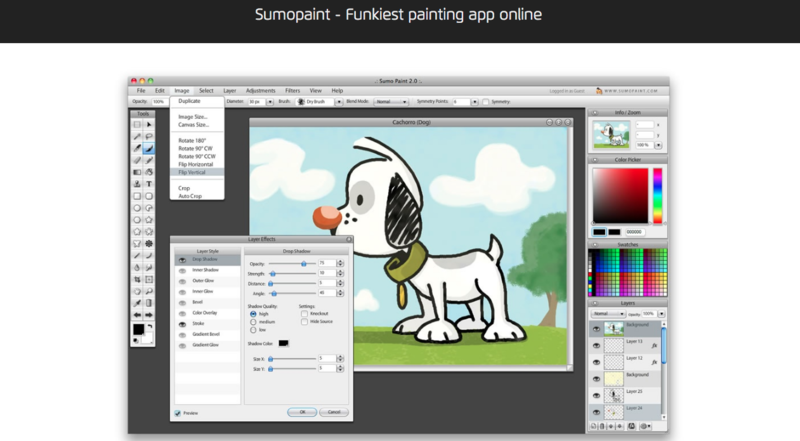 Sumo Paint is a browser-based graphics editor. You can create and edit images using all of the traditional tools like brushes, shapes, color and gradient options and cloning. It comes in both a free browser version and a Pro version that you can download. The Sumo Pro upgrade can cost anywhere from $2 for a 1-day subscription to $120 for a 60-month subscription. There are 11 different subscription options which makes it not only flexible but great for anyone on a strict budget. You can upgrade to Pro for a day or a month or several years. It’s entirely up to you. Krita is free open source painting tool geared towards both hobbyist and professional graphic artists. It has a huge community and is used by many illustrators, painters, comic book artists, designers, and individuals in the digital VFX industry. Rich in features, this painting software features multiple brush engines plus the option for users to create their own. Krita also features support for colorspaces like CMYK, HDR painting, grids, and painting assistants. If you’re looking for a robust free painting tool, Krita is a good option. 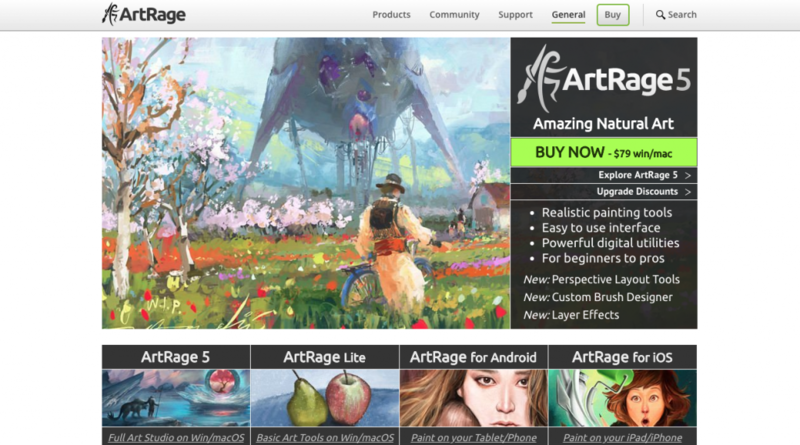 ArtRage is also a painting application that game devs can use for graphic design and video game concept art. It features various tools to help you plan your concept’s layout, draw, paint, as well as the usual editing options. This graphic design software also includes many smear and blended oils to use to customize your color gradients. ArtRage provides users with a working canvas and all the essential artist tools necessary to create a real work of art. 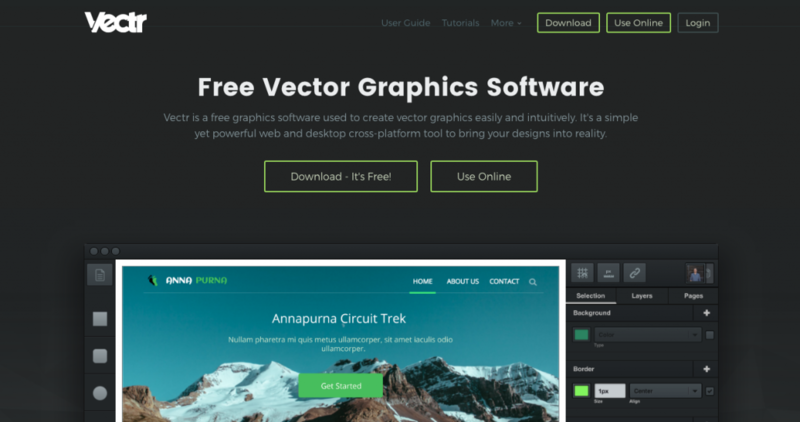 Vectr is free graphic design software that lets you create beautiful vector images. It’s cross-platform so you can use it on both desktop and online. You can create and edit 2D graphics, logos, icons, mockups and more. There’s a low learning curve, so this software is excellent for those new to design as well. Also with Vectr, you can quickly scale designs to different sizes without losing quality. This tool is great for real-time collaboration as well. Vectr features a unique URL for every design to allow you to send anyone your document. They can watch you create and edit designs live on both browser and desktop versions. Regardless of your skill or budget, there’s a piece of graphic design software that will suit your game development needs. Try to experiment and test a few out to see what works best for you. Affinity Designer is the best. Thanks Neel :) glad you found it helpful.